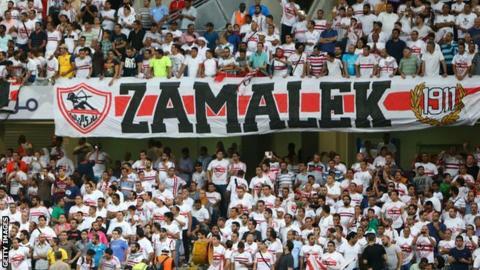 Zamalek's board met after a 3-2 loss to El-Gaish on Sunday evening and decided not to complete the competition. Zamalek's request for Mahmoud Al Banna to be replaced as the referee for the match against El-Gaish was rejected in the build up to the game. Al Banna sent off Zamalek defender Ali Gabr after just four minutes and awarded El-Gaish the first of two penalties, the second came 10 minutes into the second half. Under the league's regulations Zamalek risk being relegated to the fourth tier of Egyptian league if they do not reverse their decision to withdraw.